The National Prosecuting Authority has requested an extension for filing of its responding papers to Former President Jacob Zuma‘s application for permanent stay of prosecution. The state had until the close of business on Friday to file its papers. In a statement by the Prosecting Authority on February 21, the State Attorney representing the NPA wrote to Zuma’s legal team requesting their consent to an extension of the date of filing to Monday March 11, citing to the voluminous nature of the papers filed by Zuma’s legal team in his application for permanent stay of prosecution. The State Attorney further requested for the filing of the Zuma’s replying papers and heads of argument be extended to April 12 and April 30, 2019 respectively. The state will then file its heads of arguments on May 10, 2019. 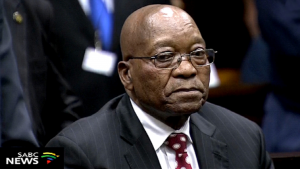 The post NPA requests extension to file responding papers in Zuma’s legal fees case appeared first on SABC News – Breaking news, special reports, world, business, sport coverage of all South African current events. Africa's news leader..